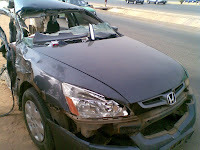 Welcome to Linda Ikeji's Blog: Obi Asika's 72year old mother survives ghastly motor accident. Obi Asika's 72year old mother survives ghastly motor accident. 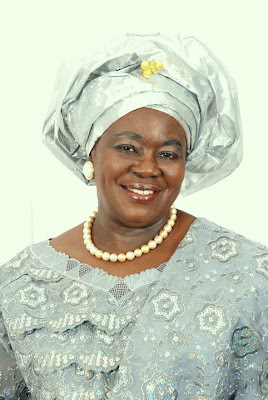 On Sunday Jan 31, the 72 year old mum of CEO of Storm 360 Ltd, Obi Asika, was involved in a ghastly car accident. Mrs Asika had travelled to the AU Summit in Addis Ababa and was less than 5mins from her home when the vehicle she was in was blindsided by a Honda Accord which crossed from the service lane on the other side, traversed three lanes, the culvert in the middle and smashed into the vehicle she was traveling in. 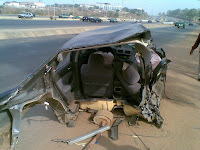 This accident happened near Wuye, Abuja. Her vechicle was thrown sky-high and then proceeded to somersault severally, she was thrown out of the vehicle in her seat and landed in the concrete culvert in the middle. A good samaritan couple that witnessed the accident moved her and her two colleagues, the driver and two senior Govt officials to the hospital. The other parties were discharged that day and thankfully had relatively minor injuries. Mrs Asika has since been discharged from hospital and doing very well at home. Seeing the damage to this vehicle, it's a miracle all of those involved in the accident survived. God be praised. Thank God she and others in the car are all safe. Only God's invisible Hand could have saved her. To God be all the glory!! Thank God for His Mercies over everybody involved in the accident. May His name be praised for ever.